One Tea is a family-friendly cafe that merges the culinary art of teas from Taiwan and Hong Kong to bring you unique flavors. We specialize in a variety of authentic drinks and desserts, including Pearl Milk Tea, Milk Tofu Pudding, and Mango Smoothies. With so many options to choose from, there's something for everyone! We live by the motto一茶鮮撈飲, or Yi Cha Xian Lao Yi, Xian Lao, which means “fresh, real stuff.” We pride ourselves on using only the freshest and most authentic ingredients to deliver the highest quality teas! Interested in learning how our products were made? Check out the video below! Take a trip to Tea Pot Mountain with Buzz and his friends as they explore the world of One Tea! One Tea was founded by Raymond and Amy, who both spent many years in the tech industry. They left that field to start their own business with One Tea. Their passion for quality ingredients and authentic Taiwanese teas means you're getting the freshest drinks possible. See how we use fresh and natural ingredients in all of our menu items. Meet the advocates of One Tea's toppings. 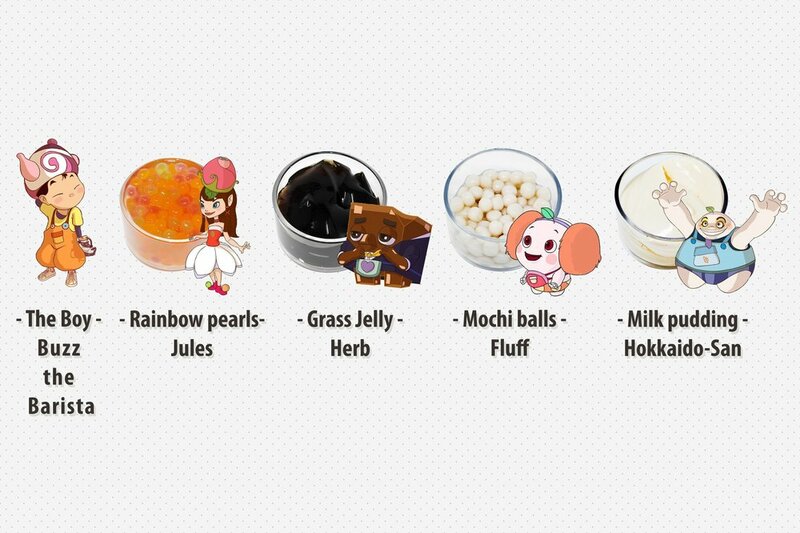 From Buzz the Barista to mochi ball enthusiast Fluff, there's a character for all of your favorite toppings! Let Jules introduce you to our one-of-a-kind rainbow pearls; they're beautiful and delicious! In the Spring of 2018 we were featured on the television show This is SF (on CBS and the CW). See why Miss California Crystal Lee loves our teas!